About - SAM HYDROMACS PVT. LTD.
Home â€ºâ€º Industrial Supplies â€ºâ€º Hydraulic Products & Equipment > Sam Hydromacs Pvt. Ltd.
Sam Hydromacs Pvt. 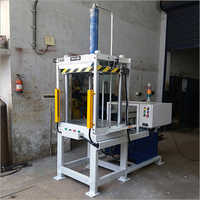 Ltd. has come forward with a gamut of world class hydraulic products and accessories which are laboratory tested and certified for all types of heavy engineering application.